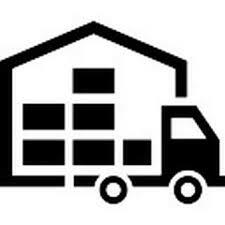 Storage Service | Wolfgang's Movers Plus Services ~ Let us Help you! Are you Looking For Storage Services? Whether you’re moving overseas for an extended period or you need to stay at a temporary residence during the relocation, we provide reliable and customised solutions to meet your needs for storage service. Wolfgang`s Movers provides flexible short or long term storage options that can be tailored to meet your budget. All our storage facilities maintain a high standard of service, are weather-proof, clean.We can supply you with all the packing material you need for all your furniture to be stored ,plastic,bublle wrap,butchers papers,tape ,porte-robe for your clothes,plastics for all your matresses and couches chairs, tables we can wrap in blankets for better padding so they don’t get damage .We can arrange 20 foot containers or 10 foot containers,depending or the size you would like to stored. We can provide you with Containers which are located at Artarmon. If dont like the idea of storage in containers we are happy to help you find another storage of your wishes,around your areas , we are more than happy to help you with storage relocations.